Professor Peter Hungerford-Welch's inaugural lecture: “Abuse of process”: An effective safeguard in the criminal justice system? Admission Price: This event is free, please register to book your place. Criminal proceedings may be ‘stayed’ if either if it would not be possible for the defendant to receive a fair trial (for example, because of excessive delay) or it would not be fair for the defendant to be tried (for example, because of serious misconduct on the part of the prosecuting authorities). This lecture will examine some of the ways in which criminal proceedings might amount to an abuse of process. The session will then evaluate whether the power of the court to stay proceedings for this reason (as that power has been interpreted in case law) offers an adequate safeguard against unfairness towards those accused of criminal offences, and what might be done to improve its effectiveness in so doing. 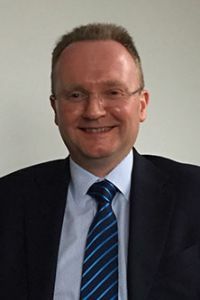 Professor Peter Hungerford-Welch is Assistant Dean (Head of Professional Programmes), overseeing the School’s professional programmes, including the Bar Professional Training Course, the Legal Practice Course and Continuing Professional Development. Peter joined The City Law School (formerly known as the Inns of Court School of Law, which became part of City University London in 2001) in 1986, having previously practised as a barrister, predominantly in criminal work. He teaches on the Bar Professional Training Course in the areas of Criminal Litigation & Sentencing, and Fraud & Economic Crime and also taught on the LLM, and is the co-ordinator for the Procedure modules on that course. He also supervises students on the LLM in Professional Legal Skills. Peter is a contributor to Blackstone's Criminal Practice (Oxford University Press). His other major published work is Criminal Litigation and Sentencing (Routledge, 8th edition, 2014). He is the Cases Editor for the Criminal Law Review.